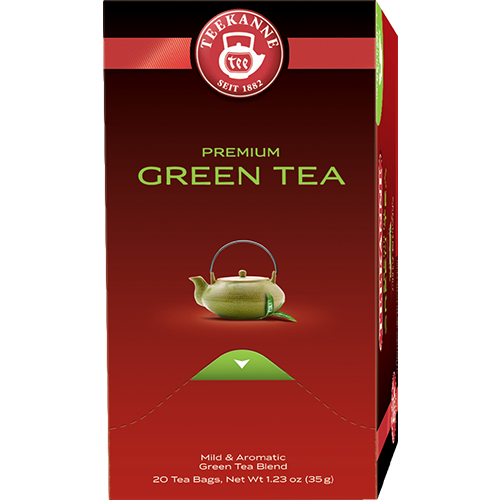 Teekanne Premium Green Tea teabags from german teahouse Teekanne. Green Tea is not only a delicious beverage but also a true sourece of well-being. Famours for its content of antioxidants which are believed to protect the body against free radicals.